NEW YORK — Louis C.K. performed for the first time since he admitted that multiple sexual misconduct accusations against him were true. 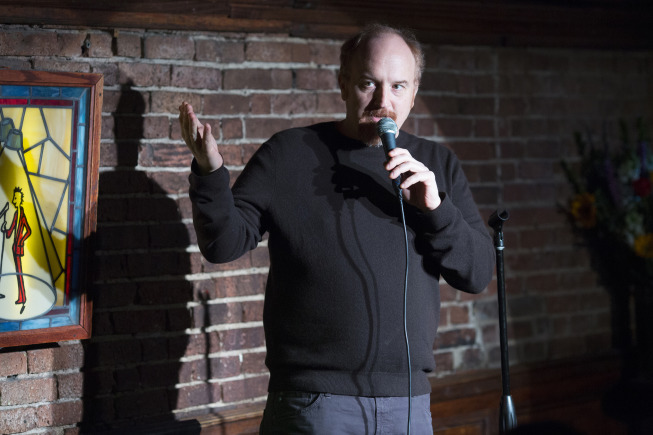 The comedian returned to the stage Sunday night at New York's Comedy Cellar, which was heavily featured on his show "Louie." The performance was unannounced. The club's owner, Noam Dworman, told the New York Times he watched a video of the appearance. He says the 50-year-old comedian was "very relaxed" and was greeted by an ovation from the audience. He says he performed "typical Louis C.K. stuff." In November, C.K. confessed to masturbating in front of women colleagues and expressed remorse for wielding his influence "irresponsibly." Five women last November accused the comedian of inappropriate behavior. He released a statement in which he said, "These stories are true." He expressed remorse for his actions.